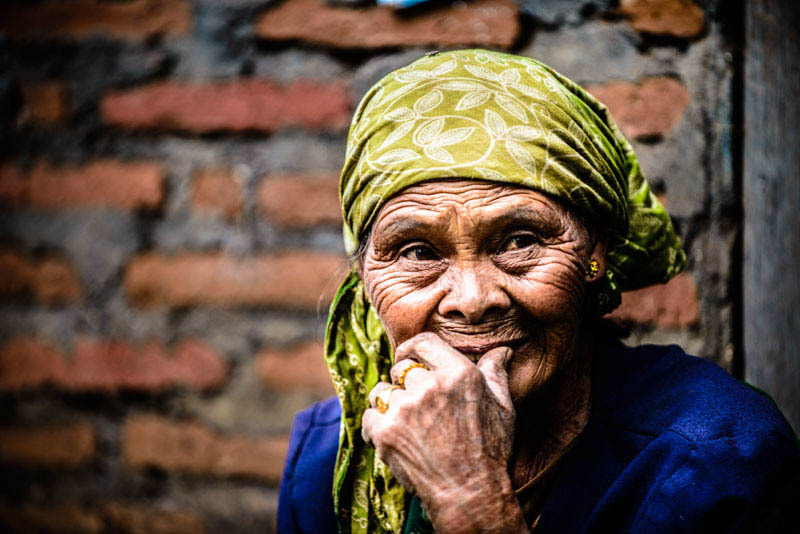 Please come and join adventurous professional photographers Mark Rayner the Buffalo Master and local Indonesia resident Dayak Dave Metcalf on a spectacular photography tour of the beautiful islands of Java. Java is truly extraordinary. Described as the most habitable and hospitable place in all of Asia, a veritable tropical paradise with stunning landscapes, soaring blue- grey Volcanoes’ balding cones on top, forests in the middle and rice terraces below, many architectural wonders from ancient kingdoms past including one of the worlds great sights Borobudur, the base of Indonesia’s art and culture, and very friendly people. 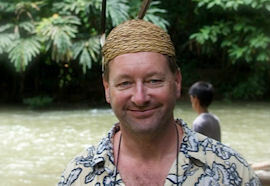 Java is indeed a tropical Island of superlatives waiting to be explored by passionate photographers. 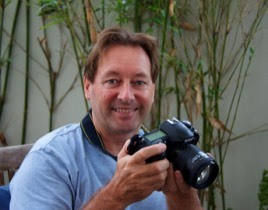 David Metcalf and Mark Rayner have led two photography workshops in Java and we are very excited about returning to this beautiful island and introducing passionate photographers to the variety of photography opportunities on offer. 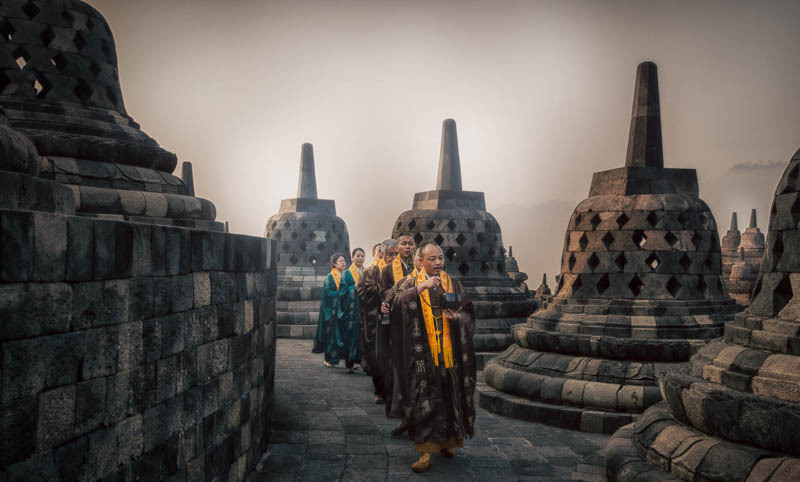 We have crafted a fantastic tour that will delight anyone interested in landscapes, Volcanoes’, people, culture, architecture, ancient ruins, Java street life, terraced lush green rice fields and historical towns where time has seemingly stood still. The group gathers in Bali for the first night where we stay at the beautiful Segara Village Hotel in Sanur. Dinner will be on the beach and a few cocktails to start the trip. 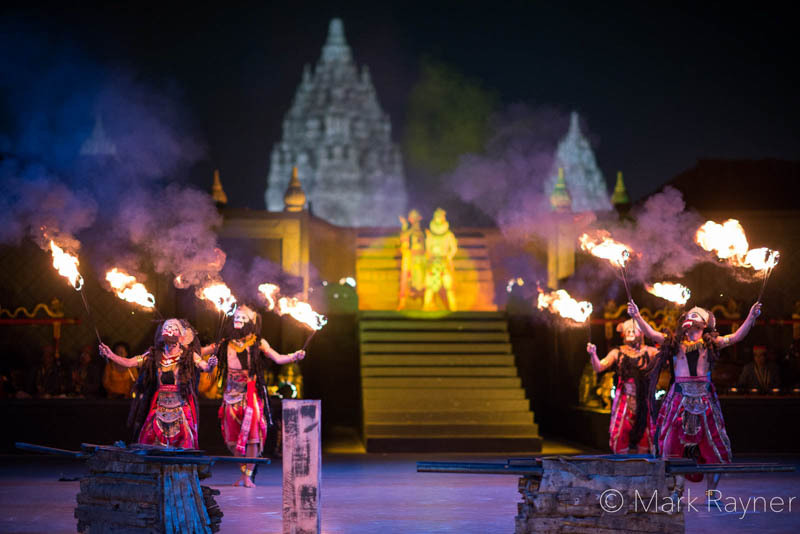 Please note if the Volcano in Bali is causing some concerns the tour can start in Jakarta. We then fly direct from Jakarta to Malang, and finish in Jakarta. Fly to the historic town of Malang in East Java. Malang is one of Java’s hidden treasures, a large town of around one million people and a great base for exploring the area. Malang is a very well planned city with many parks, tree lined streets and old Dutch architecture. After checking into the beautiful historic Tugu Hotel we will start our photography adventure in the nearby bird and flower market and mix with the local friendly Javanese. We will catch the late afternoon light and do some street photography around the canals and small kampongs of this wonderful city. The Tugu is one of the most beautiful historic hotels in Indonesia and a photography project in its own right. We will dine in a special historic part of the hotel this night. 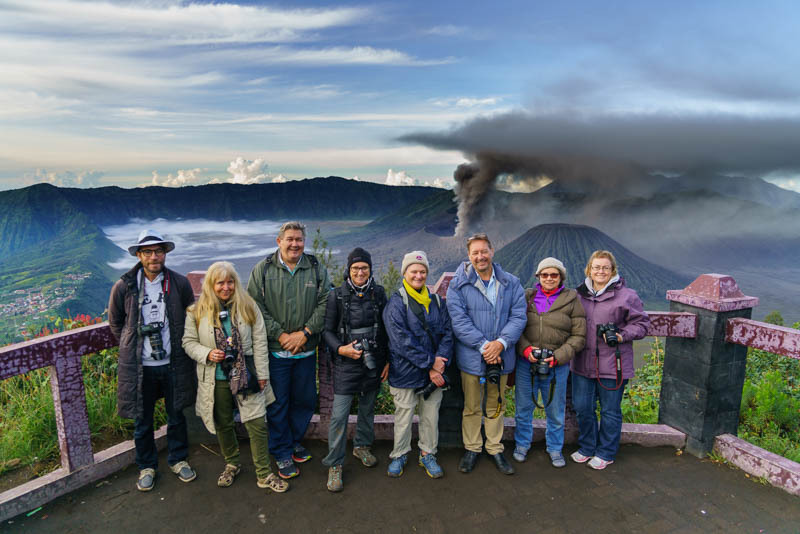 We will leave early in the morning and traverse by four-wheel drive up the western slope to the Mount Bromo area stopping to photograph in the villages on the way. With the surrounding Volcanoes as a backdrop this is one of the most spectacular landscapes on the planet. 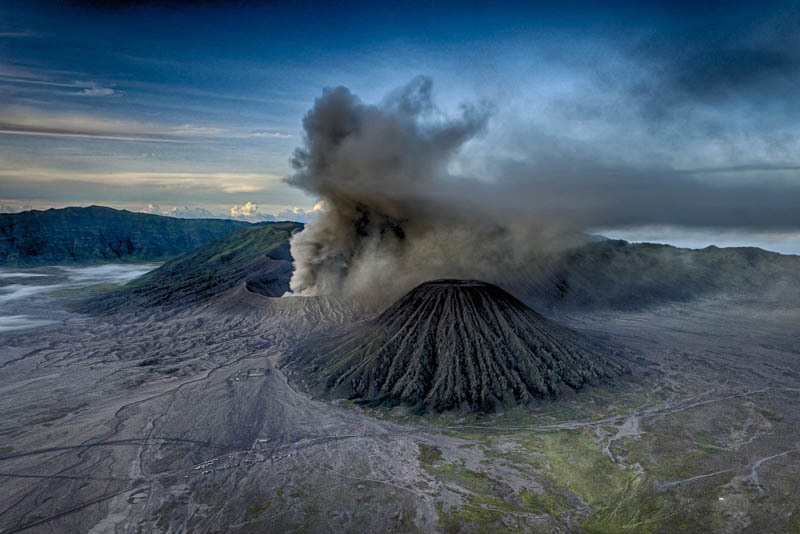 In fact there is no other volcanic terrain in the world that can compare to the spectacular Tengger region. We will stay that night at the Lava Lodge and catch the late afternoon sun as it casts its rays on the famous sand sea crater. An early night as we have a very early start in the morning. Up at 4 am and we will travel by jeep to catch the sunrise way up high above the crater below and photograph Mt Semeru Java’s highest peak at 3,676 meters. 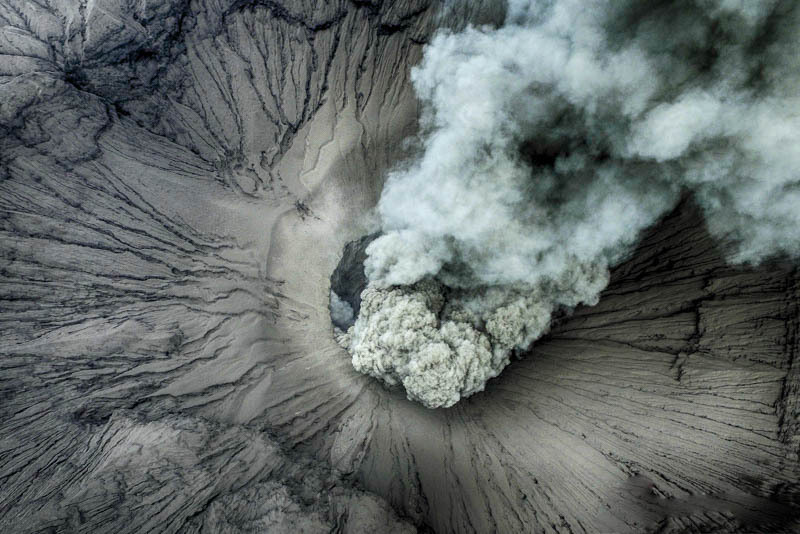 But there are many other Volcanoes in this area, it’s a sight that has to be seen to be believed. Dave has been to this area on five previous occasions (he loves it so much) and knows other different angles to photograph this amazing landscape. 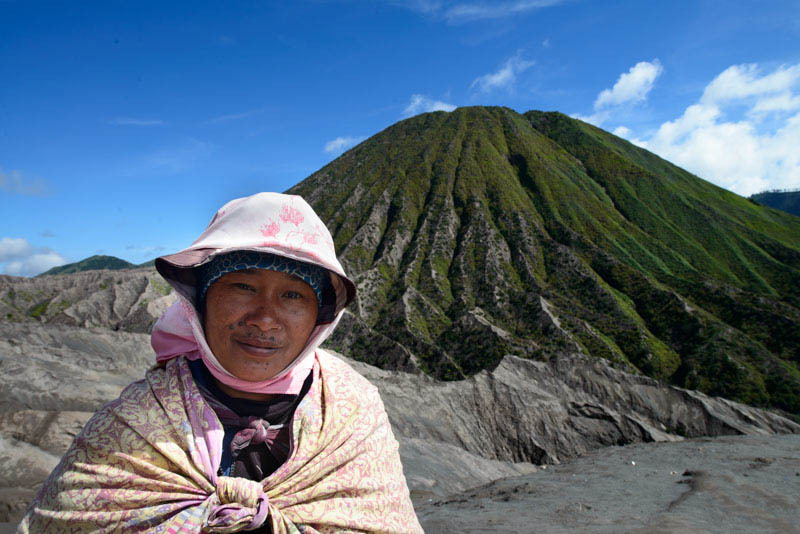 We will then head down to Mt Bromo itself and catch horses ( or walk ) to the top of the crater and photograph a live active Volcano and the Tengger horseman as they gallop across the sand sea, like a scene out of Lawrence of Arabia. Back to the hotel for lunch and a rest and then a visit to the charming Tengger Villages in the area. The tengger are hobbit like and the last remaining group of Hindu’s in Muslim dominated Java. Very friendly they will invite us into their homes and we can get some charming portraits. Late in the afternoon we will head back to the Tugu for a well deserved to rest and opportunity to download thousands of photographs! Early start to photograph the sunrise over the Volcanoes surrounding Malang and a visit to the Tea plantations and the workers in the fields. Back to the hotel for late breakfast and rest. We then board the 4 pm train to Jogjakarta passing through some beautiful green countryside and relaxing until we arrive at 11 pm in this historical city. We then check into another beautiful, historical Hotel, the Phoenix, where we will stay the next four nights. 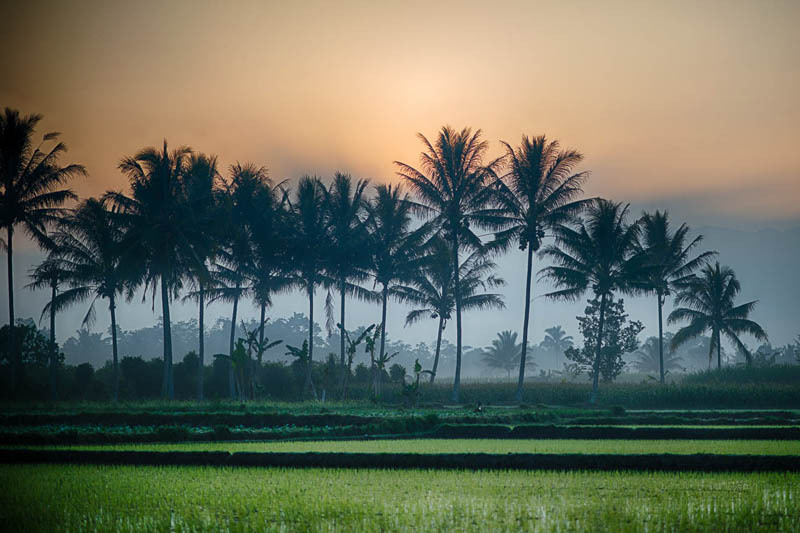 Jogjakarta is one of the only two traditional court centers remaining in Java’s ancient hinterland. A small busy town Jogjakarta is home to many educational centers and some fascinating street art. We will visit the Keraton, royal palace by becak and some good opportunities for more street photography, especially in the main street named Jalan Malioboro and we will visit the central market. The local market is a fantastic place for photography as the people are very friendly, and happy to have their photos taken. The colorful scene is amazing. Back to the hotel for rest and dinner as we will be leaving around 3 am to get to the largest Buddhist temple in the world. 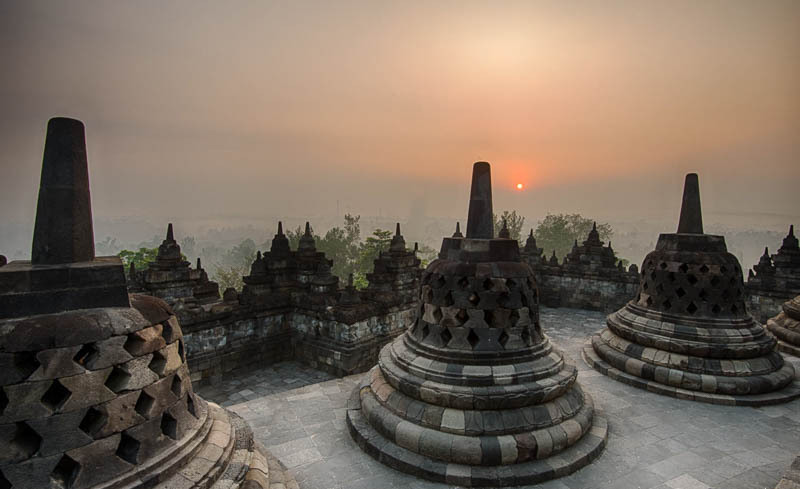 Borobudur is a spectacular sight and we will be there to photograph the star trails over this amazing monument, then the sunrise as the first light hits the many stupas. To the north and east, a majestic procession of Volcanoes soars to heights of more than 3000 meters, making for an unforgettable sight. We will wander around the foundations photographing from different angles, so a wide-angle lens will be very useful. We will slowly make our way back to Jogjakarta stopping for lunch at the magnificent grounds of the Mesastila resort, another wonderful place to photograph. If the weather is clear (June is the best time of the year for good weather), we will see mighty Mt Merapi, the most active Volcano in the world and the spiritual heart of Java. There will be plenty to photograph on the way back as we pass through lush green valleys with waterfalls, and rivers flanked by steep hillsides. Early night after such a long rewarding day. A full rest day, editing photographs, reviewing with Mark and Dave, some light room tips from Mark. 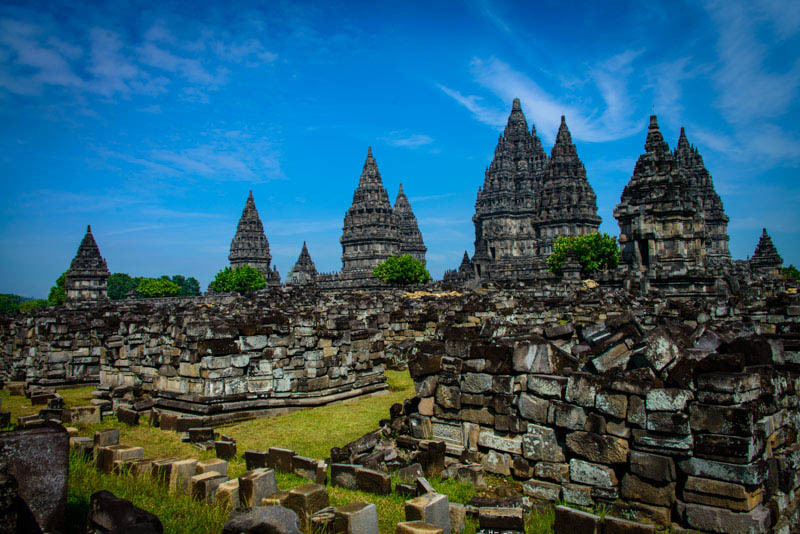 In the afternoon we visit the visually stunning Prambanan, historical temples. 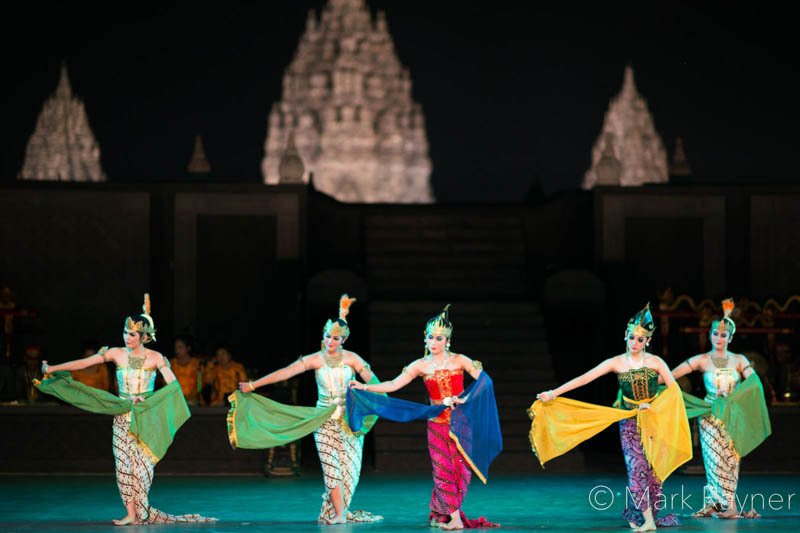 In the evening we will photograph and catch the Ramayana ballet, a spectacular dance performance and very colorful. Fly back to Bali direct from Jogjakarta in the morning arriving back in Bali around 12 noon. This workshop is limited at 10 participants to ensure a high student/tutor ratio. To book or make an enquiry please complete the from below.